ZAGG Invisible Shield Original Screen Protector Motorola Moto X. For HTC ONE M8. Only work for For HTC ONE M8. HIGHEST GRADE TEMPERED GLASS - Best material to protect your phone in daily use. 2x Front Tempered Glass. CASE FRIENDLY DESIGN - Due to the iPhone's curved-edge design, our screen protector is designed slightly smaller than the actual size of the phone face to allow most kind of phone cases to be installed. Perfectly fit for For HTC M7. •Waterproof •Tempered Glass. Anti-Shatter Film, if broken, the protector breaks into small pieces that are not sharp. Oleo phobic coating to prevent fingerprints or stains, easy to clean. 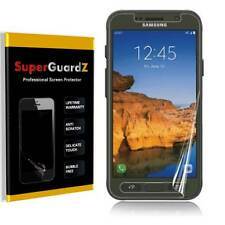 SuperGuardZ screen protectors are made from high-quality optical-grade film, which consists five layers: (1) Anti finger print coating, (2) Anti scratch coating, (3) Optical PET layer (4) Silicone gel layer that ensures bubble free installation, (5) Protection liner. HTC ONE M9. The film is thin, clear, transparent, and can protect your smartphone screen against dust, scratches, fingerprints. It is precisely engineered to fit your device screen perfectly. This screen protector will keep your screen in perfect condition. ZAGG invisibleSHIELD Screen Protector Full Body Protection for HTC One M8!!! InvisibleShield Original also features the unique EZ Apply™ tabs to give you the easiest, most precise, and bubble free application possible. NEW ZAGG invisibleSHIELD Screen Protector Full Body Protection. 5 out of 5 stars - ZAGG invisibleSHIELD Screen Protector Full Body Protection for HTC One M8!!! 4 product ratings4 product ratings - ZAGG invisibleSHIELD Screen Protector Full Body Protection for HTC One M8!!! 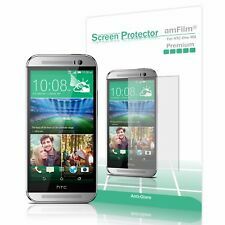 ZenTech Premium Anti-glare/Matte Anti-fingerprint Screen Protector for HTC ONE M8. 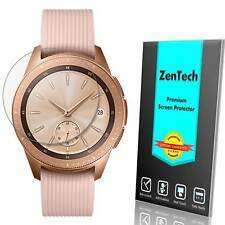 ZenTech screen protectors are made from high-quality optical-grade material with anti-scratch coating. The screen protectors are thin, transparent, and can protect your screen against dust, scratches, and fingerprints. ZenTech Premium Anti-glare/Matte Anti-fingerprint Screen Protector for HTC ONE M9. ZenTech screen protectors are made from high-quality optical-grade material with anti-scratch coating. The screen protectors are thin, transparent, and can protect your screen against dust, scratches, and fingerprints. ZenTech Premium Anti-glare/Matte Anti-fingerprint Screen Protector for HTC ONE A9. HTC ONE A9. Our screen protectors are made from high-quality optical-grade material with anti-scratch coating. The screen protectors are thin, transparent, and can protect your screen against dust, scratches, and fingerprints. The film is thin, clear, transparent, and can protect your smartphone screen against dust, scratches, fingerprints. It is precisely engineered to fit your device screen perfectly. This screen protector will keep your screen in perfect condition. Tech21 Impact Shield. For: HTC ONE M9. Self Healing Anti Scratch. Advanced Screen Impact Protection. We are always willing to work things out. If we don't know about it, we can't fix it. (Normally sooner!). PROBLEM SOLVED: The PureGear PureTek Screen Protection Kit makes installation a breeze.all you have to do is roll. It’s the first ultimate screen shield protection made simple! INSTALLATION: Step 1: Clean your phone (micro fiber cleaner cloth included). PROBLEM SOLVED: The PureGear PureTek Screen Protection Kit makes installation a breeze.all you have to do is roll. It’s the first ultimate screen shield protection made simple! The Puregear Puretek installation is ingenious. Otterbox 77-35274 Vibrant Screen Protector for iPhone 5/5C/5S/SE. Condition is New. Box shows wear although never opened. Shipped with USPS First Class Package. Clear finish. Model: (61471PG). - Industrial Strength Film with Self-Healing Technology. - Flexible TPU Material has Anti-Imact Properties. Let's Get In Touch! Authentic Products 100%. Best Quality. 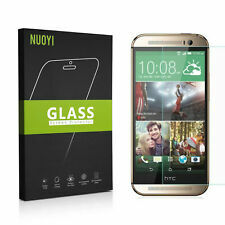 Protect your HTC One with RND Power Solutions Superior screen protector! Our screen protectors provide Anti-Fingerprint Anti-Glare - Matte Finish and do not interfere with touch-screen operation. RND Power Solutions Screen Proctors designed to maximize readability under sunlight and various outdoor lighting conditions. HTC One M7. For HTC One M7. Mosquito Killer. Well Protect Your Phone To Prevent the Peep by The People Next to You. Fender Flares. Digital Scale. Kitchen Scale. One Screen Protect Film Wipes. Let's Get In Touch! Best Quality. Browse our. Tablets Accessories. Cell Phones Batteries. Cases & Covers. 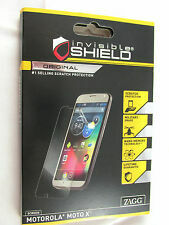 INVISIBLE SHIELD ORIGINAL SCREEN FOR HTC ONE M8. ProLine Fix Your Cellular Solution Outlet. For HTC One. 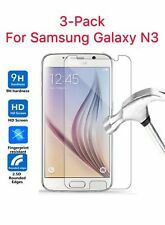 - 2 clear screen protectors & 1 anti-glare / anti-fingerprint screen protector. - screen cleaning cloth and soft applicator card. - full face protection. 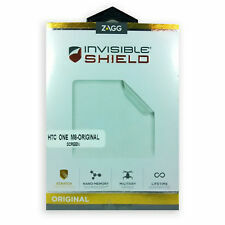 NEW ZAGG invisibleSHIELD Screen Protector Full Body Protection for HTC One M8!! !